Since Oxford’s early days, its great food has made the city a gastronomic landmark. Double Decker Festival is celebrating its 23rd year, making the weekend itself as legendary as the historic restaurants that fuel the weekend’s famous cuisine. Vendors new and old will gather on the Square April 27 and 28 to celebrate the tastes that give Double Decker its signature flavor. Double Decker dedicates itself to celebrating food, music and the arts. Food has always been an important aspect of Oxford’s identity, and Double Decker is the perfect weekend for local restaurants to showcase their most famous dishes. With 28 vendors participating this year, there is a treat for every taste bud. Charter members such as Sno Biz, Taylor Grocery, Abner’s, Proud Larry’s, Funky’s and Old Venice have been vending at Double Decker since the festival’s beginning. Each charter member helps to establish the authenticity of the festival and its flavors. 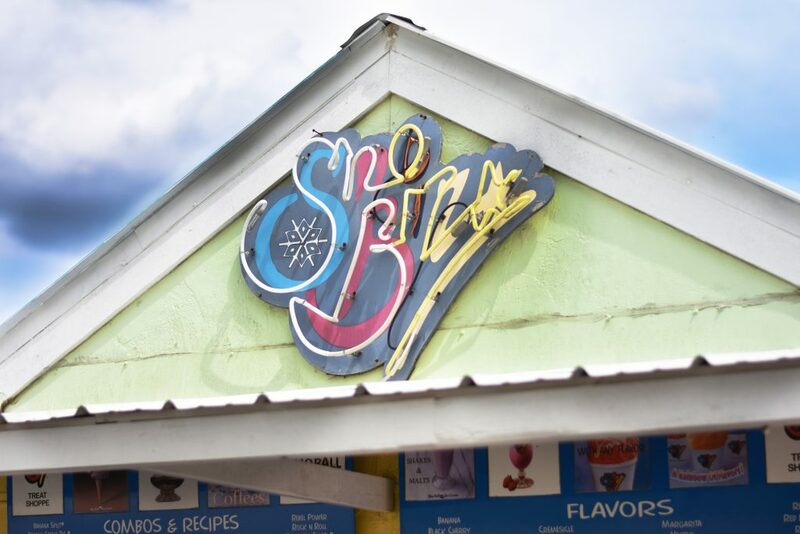 Snow cones on any spring day are a necessity, but the history of Sno Biz makes these sweet treats even more special. 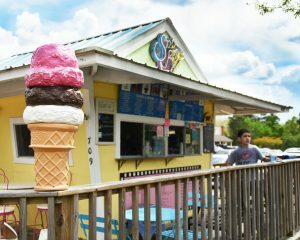 Sno Biz has always been the best spot for a refreshing treat in Oxford. “We have been a food vendor at every [Double Decker]. Sno Biz shaved ice is a great festival treat on a warm and sunny day,” owner John Sherman said. Sherman said the favorite flavors are Sno Biz’s homemade ice cream, wedding cake or any of its flavors with a creme topping. He also added that festival goers can’t go wrong with any flavor atop their shaved ice. Another historic restaurant, Funky’s, famous for its daiquiris and pizza, is excited to once again celebrate vending at Double Decker. Funky’s will bring some flavor to Double Decker with its seasonal spicy crawfish pizza and unique mac and cheese pizza. Harris said these dishes are always popular among curious eaters. No matter how hot the Mississippi afternoon might get, their daiquiris will also be available to cool people down. 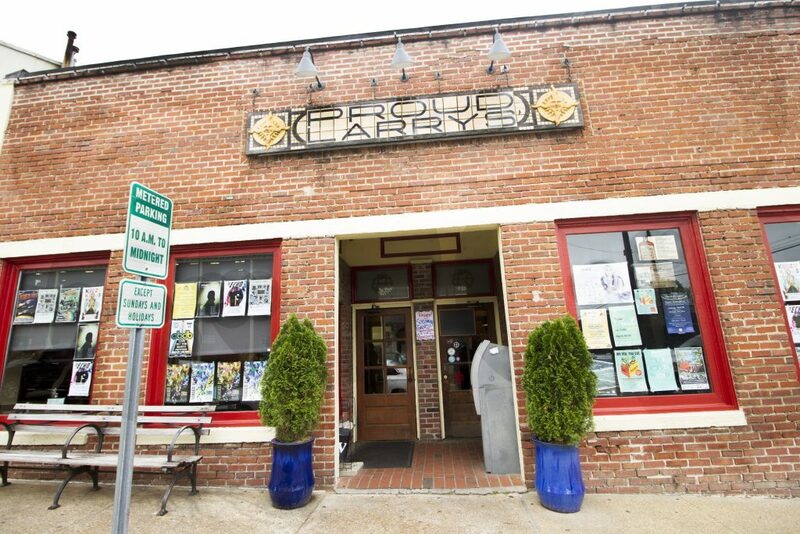 Proud Larry’s is another eatery that has been an Oxford landmark since it opened 25 years ago. “Proud Larry’s has been a vendor at Double Decker since the beginning, and it has been awesome to see the festival grow over the years,” said Bruce Butler, owner of Proud Larry’s. Local vendors have a big impact on the turnout of the festival, and many are excited to display their different dishes. The signature food at the Proud Larry’s booth includes a roast beef po’ boy, jambalaya and gumbo. The festival vibe brings a special feeling to each booth and allows restaurants to display their favorite foods some might have never tried. Each vendor adds to the melting pot of flavor, personality and sound that makes Double Decker so special. Those in attendance this weekend are sure to be stuffed full of food straight from the heart of Mississippi.